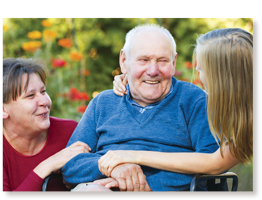 Do you or a loved one want to transition from a nursing home to enjoy more independent living? Are you interested in affordable housing within the community or residency at an assisted living facility? Nursing home relocation may be an option. To qualify for related funding, you must apply for relocation BEFORE being discharged from your current nursing home. Contact the ADRC of the Wolf River Region right away for questions and full details about the process.